Having a bedtime routine is necessary if we want to get better quality sleep consistently and be more alert daily. Whenever our sleep is compromised, it affects our rhythm, mood and how effective we are. Getting an adequate amount of sleep is vital for our productivity, focus and our ability to get things done. A bedtime routine will help us get the quality of sleep we need each night to be at our best. We’ll have lower levels of stress. We’ll be more focused and productive. We’ll feel calmer, relaxed and happier. By paying more attention to the things we do before bed, we can easily create an effective bedtime routine. Knowing how to be more attentive is critical today if we want to have greater influence and more success. With more opportunities available now, being able to remove distractions and focus better, is vital if we want more success. What Does it Mean to Be More Attentive? Easily distracted and very scattered. Unfocused and has poor concentration. Trying to get more done by multitasking. Able to avoid being distracted, therefore can concentrate well. Able to get things done by working on one thing at a time. The more attentive and alert we are, the less scattered and more focused we’ll be. This means we’ll be giving more energy to what we are doing. Our daily demands can easily result in us feeling scattered, which can affect our mental and emotional states. Unless we manage ourselves well, it can have some significant effects, which also could have some long-term implications. What Does Feeling Scattered Mean? Feeling scattered is very similar to feeling frazzled, unfocused, distracted and overwhelmed. Whenever we’re feeling scattered, it’s difficult for us to be present or focus on what we’re doing in the moment. Aren’t as productive as we can be. Take longer to get things done. Don’t have a healthy attitude. Aren’t as happy as we’d like to be. Not having a plan to follow. Lack of clarity on what needs to be done. Having more to do than we can cope with. The better we can deal with the times when we’re feeling scattered, the quicker we’ll be able to refocus. This will allow us to get back to being as productive as we can. As we are beings programmed for growth, our desire to have more and create a better life shapes almost all the things we do on a daily basis. The more we can convert the things we do that makes our life better into habits, practices, routines or rituals, the easier it will be for us to keep doing them and continue to reap the benefits of doing so. Start off each day on a positive note. Maintain a healthy attitude throughout our day. Feel good about ourselves, which will enhance our self-esteem and confidence. A ritual is an activity or series of activities that involves movement, words or objects, done in a pre-defined order or sequence. In other words, rituals are things we can do to generate certain emotions, which can then assist us in accomplishing what we want to. Having daily rituals means being intentional about what we do and how we do them. As more and more opportunities come our way, being able to delegate effectively will be vital if we want to meet our objectives. The reality is we can’t “do it all” because not only is it exhausting mentally, emotionally and physically, it also may not be the best use of our time. It doesn’t matter who we are, whether we’re a stay-at-home parent, employee, or business owner, being able to free up time to focus on high-value activities is critical to getting things done on time and achieving the success we want. If you’re a business owner or entrepreneur, it may be focusing on innovation and revenue-generating strategies. If you’re a parent, it may be spending quality time with your children. If you’re an employee, it may be moving a major project forward in order to meet your deadlines. The better we’re able to delegate low-value activities, the more time we will free up so that we can focus on what’s most important. Oh No! Half my day’s gone and I haven’t done anything productive! Have you ever been in a similar situation? You had high intention for your work day but somehow the day just “got away” from you? If you’ve had such an experience, you’re not alone. We’ve all had days, where due to unforeseen events or circumstances, we weren’t able to do what we had intended to. Today, it’s become extremely important that we eliminate distractions and improve our ability to focus on what needs to be done if we want to progress towards our goals. Sometimes, even with the best of intentions, we may get sidetracked and lose focus, so it’s valuable to have strategies or tactics to be able to turn around a bad or unproductive day. Most days, I will identify at least five big things I want to get done, related to a particular goal or project I’m working on. Usually by the middle of the afternoon, I will have three or fours things done, which will leave me the rest of the afternoon to finish off the last thing. Our capacity to produce the results we want and be the best we can be is closely related to the way we use our mind. The better we use our mind, the more effective we’ll be, which will translate to the type of results we achieve. The more cluttered our mind, the less effective we’ll be. If we have too many things cluttering our minds, it means our units of attention, or our ability to focus, is being taken up by different things, which will result in less attention being given to the things we want to do. In order to more effectively use our minds, we have to give it better attention. Our thoughts form the key contents of our minds. The better we learn to harness our thoughts, the more effective we’ll be. We’ll never get rid of all our thoughts and it should not be the objective. 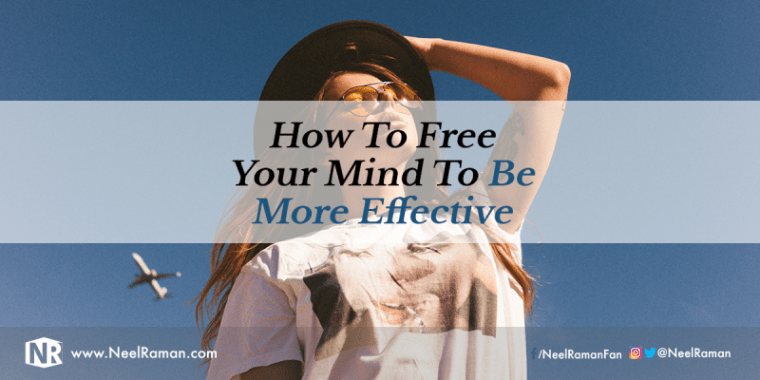 Our objective should be to free up mental units attention so that we can direct more attention to doing the things that’ll cause us to have greater progress in life. There are times when we can trick ourselves into believing that because we’re busy, we’re also being productive. Being busy doesn’t always mean we’re doing what’s important. Sometimes doing what’s urgent, which often are false emergencies, can cause us believe we’re productive. As we get busier, take on new responsibilities or start new ventures, the demands on our time will continue to increase. High levels of stress or pressure. Feelings of overwhelm or frustration. Delays in getting things completed. Our relationships with those we interact with being affected. Using our time intelligent doesn’t mean better time management. The reality is time cannot be managed. We can only manage ourselves or our activities in relation to the time available to us. Not matter what we try to do, we cannot increase the time available to us. 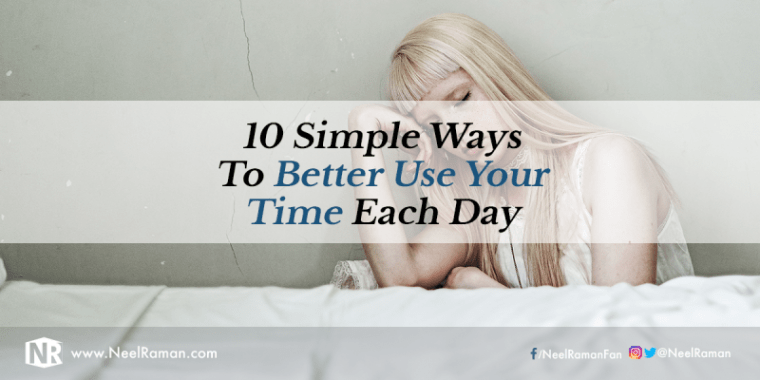 Having intelligent but simple ways to better use our time in our daily activities will help us be more productive and effective. From an early age, we’re told that in order to be successful in life, we have to work hard, which often gets interpreted as working long hours. We hear people say they’ve been “burning the midnight oil” or “doing an all-nighter” in order to achieve a particular outcome. There is value in having a strong work ethic and doing what’s required to get to where we want to be, but there also has to be a certain level of intelligence as to how we go about it. Working long hours doesn’t always equate to how much we actually get done. Have you ever been in a situation where you know you’re about to go on a holiday and you have certain things that must get done before you leave? What usually tends to happen? Oftentimes, the last couple of days before we leave is when we get the most done because we have an unmovable deadline. We somehow manage to become so productive and get things done. If we can be so productive being we leave for a holiday, it means we have the capability to do that whenever we want. 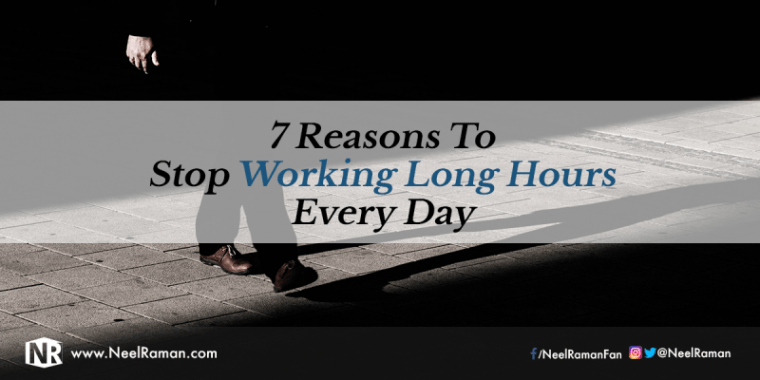 It also means we have to question the need to work long hours consistently. Working long hours does not always result in us doing our best work. Our habits can either lift us up or bring us down. If we have empowering habits, we’ll create better experiences and results in life. Likewise, if we have disempowering or toxic habits, they can affect our lives and those around us in a detrimental way. As most things we do are habitual, it’s makes sense to be more aware of which habits may be affecting us in a negative way. Lower levels of confidence, drive and motivation. Less willingness to take new risks or try new things. 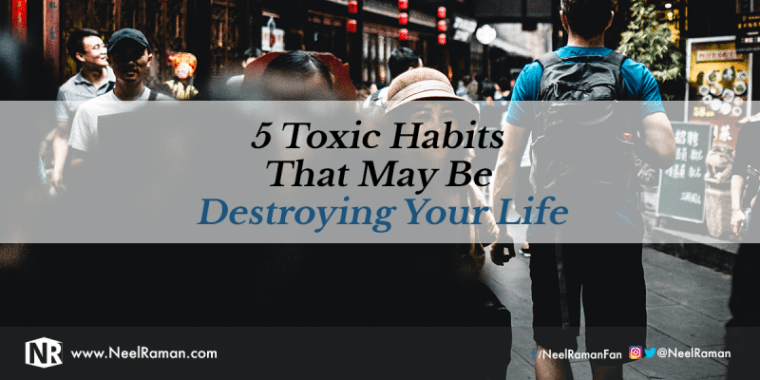 The more toxic habits we can replace with empowering habits, the better our lives will be.